Your handmade fortune cookie, 4/2/2019. Kind of lame, but I ran out of the real kind. This week, it was all about the segues and oddball tracks. For instance, I’d want to be Michal Towber this week. Her powerful vocals were on display, sandwiched right between The Beatles and The Smiths. Or Natalie Cortez and the Ultraviolets, situated between R. Stevie Moore and R.E.M., a couple of legendary artists–but Natalie herself is pretty much a local music legend here in Sacramento, so it’s not that much of a stretch. We started the show off with a smoldering track from London, UK’s Karim Fanous, and then kept the music moving with a Beat Farmers song that as I’ve said over the years, “it’s not a nice song, but it is a song”. Kind of needs a parental warning. We had a pair of Todds–a great new pre-release track from Identical Suns, which features Rene Rodriguez and Todd Stanton, followed by Big Head Todd and the Monsters. (Yes, that’s a bit of a stretch, and in retrospect, I probably should have thrown in some Todd Rundgren–but I don’t write these segues–they write themselves!) That R.E.M. track–Voice of Harold–do you know the story behind that? I’ll tell you during the show, but basically, Michael Stipe was bored in the studio, found an old gospel album, and set the liner notes to the backing tracks from Seven Chinese Brothers. Kind of a hilarious prank, which showed up on Dead Letter Office. And then the rare Strontium 90 track. Listen to the show to find out who it really is, but I can hint at it here: their album is called Police Academy. 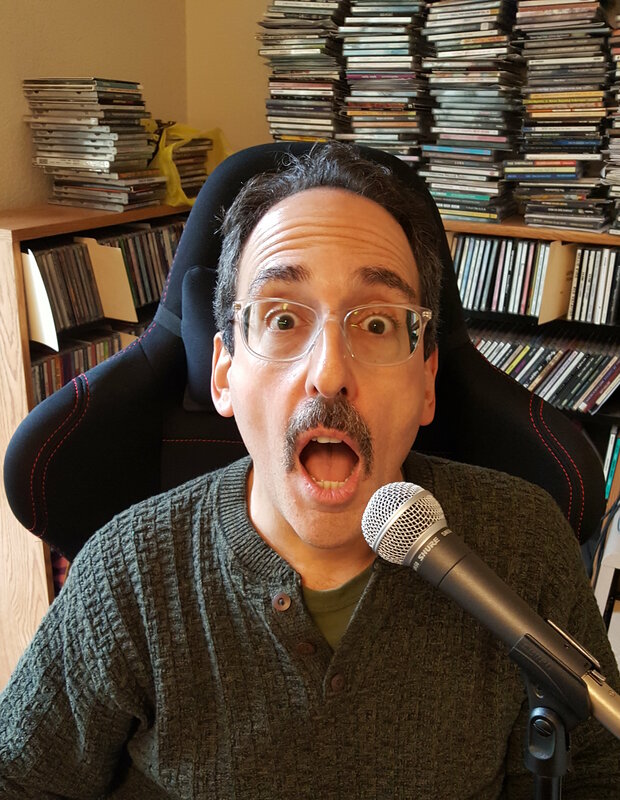 It’s been great receiving so much great new 2019 music, and we featured tracks from the likes of San Francisco artists The Bobbleheads, Dara Ackerman, and The Morning Line. We heard a great cover from new L.A. supergroup The Kariannes. The East Coast provided brand new tracks from Lost Leaders, Girls On Grass, and Chancellorpink (Pittsburgh is the East Coast, right?). 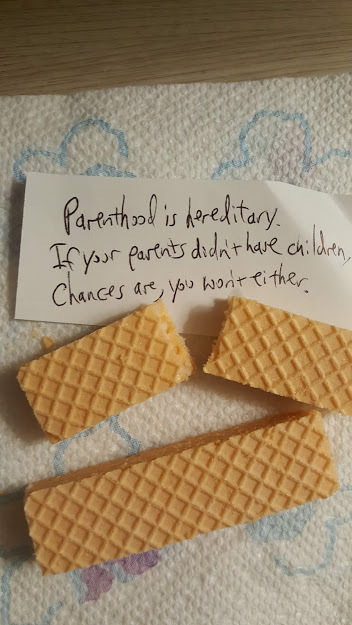 Oh–and I ran out of fortune cookies, but I improvised a Fortune Cookie Report with a wafer creme cookie and a handwritten fortune. It was kind of lame, and I really should leave fortune cookie fortune writing to the professionals who do this for a living! Well, there is this too: enjoy the show! And listen to all our other great Woody Radio shows. There’s some radio magic happening at www.woodyradio.com.